He was stood in the middle of the road,leaning on a lamp post,as he thunder struck he was suddenly on Julia's window sill,he knew he was breaking the rules,but he owed he girl and explanation of what happened in the forest,he tapped his knuckle on the window. "Hey,sorry to you know barge in like this" He shuffled,slightly embaressed"I thought you would like to know,exactly what happened up in the forest earlier and .. well as long as you can keep a secret and take it to the grave no matter what I can tell you everything ok?" He slowly sits down beside her "What do you think me an dmy family are,we never go out in the sun,our skin is ice cold "he touches the back of her hand with one ice cold finger "and as white as a sheet,we are faster and stronger than anything you will ever bare witness to." "Are you brave? because what I am about to tell you will probably want to make you run and scream,but you are safe,and you will not tell anyone as it is for the best." 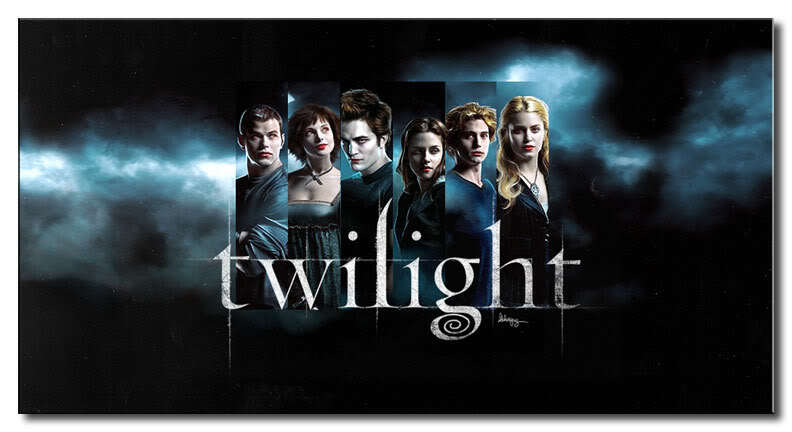 "We're vampires, none of the cullen's are my blood relatives except that I was converted by dad,AKA Doctor.Cullen. we generaly have a rule not to expose ourselves to humans,but Lauren did a good job of that earlier"
"No,me and my family,we like to think of ourselves as vegetarians,I personaly only feed off deer,the most nourishing animal" He smiled his hands on his lap,so she was just going to chuckle and joke around was she? He looked up from his thoughts with a soft smile "So you are just a plain unassuming human? no special magical and wonderfuly weird gifted,being human is alot better than being what I am"
He smiled,this girl really had no idea what it was like to be a vampire,and he wasn't ready to explain so he just sat there,a look of deep thought in his eyes and plastered over his face. He looked at her "What have I got something on my face?" He knew exactly what was making her stare "I know why you are staring,you think I am beautiful or handsome, certain vampire's appeals to certain prey, as I am not a human hunter you don't count as prey but everything,my scent,my voice my voice,all of it draws you in"
He laughed softly "As are you,I have never been called beautiful before,normaly get 'oh Sigmar you are so cute' that is generaly when I just walk away" he grinned making sure his fangs were covered. He smiled softly,touching her cheek "Oh really now,do you trust me?" He see's Cody rising to his feet his eyes fading to blood red "what do you want?!" he sniffed the air and added "half breed!"